What Motives Cosmetics Kits Are Available? The Motives Pro Artist Program is for makeup artists, aestheticians, cosmetologists, hairstylists, fashion stylists, nail technicians, costume designers, models, on-air talent/performers and photographers. The Motives Pro Artist Program combines your skills with the Motives cosmetics and Market America skincare lines – offering innovative, customized and award-winning products to start you on the path to financial freedom. This program is only available to beauty professionals in the United States and Canada. Annual membership fee is only $40. To enroll, simply download and fill out the Motives Pro-Artist Membership Form and send it in along with the required documentation listed below. It’s that simple! Within a few weeks you will receive a “getting started” e-mail, which will explain how to pay your annual subscription fee and instructions letting you know how to activate your very own Motives website. Our ongoing commitment is providing you with the products, information and service you need to succeed. Membership is renewed on an annual basis. Two pieces of professional documentation: Acceptable professional documentation includes: a composite card, business card with your name and profession, your editorial page with your name credit, your union card, your head shot and resume, your professional license, your diploma/professional certificate, publication masthead, program/press materials with your name, your contract on production company letterhead, crew/call list on production company letterhead, or a professional employment letter of reference. An example of your work. Please note that all identification, documentation, and examples of work submitted must be current and must indicate your name and profession. Please do not send us original identification or documentation. This information will not be returned to you. Motives Pro Artist reserves the right to require additional professional documentation at any time or to reject your application for any reason or no reason. How is a Motives Pro-Artist Different from a Motives Beauty Advisor? The primary difference is that as a Pro-Artist, you may only earn an income through retail profits. If you would like build a team of distributors and earn, potentially unlimited, commissions then you should consider becoming a Motives Beauty Advisor. Please contact me using the form below if you would like additional clarification on the differences between the two. Please contact me using the form below and I will be happy to answer all your questions. I would like more information about becoming a Motives Pro Artist. I have just sent you some information by email. Please respond to that email so that I may answer your questions directly. I just sent you an email with more information on the Motives Pro Artist Program. It is $40 annually. Please write back and let me know you contact number if you would like to chat. I can answer all your questions then. Where can I find more info on the Motives Pro Artist program? I emailed you some additional information. I’ve just sent you an email response. I’ve emailed you some information. I hope to hear back from you soon. May I please have more information on being a Pro MUA and is it possible to be both a Pro MUA and Beauty Advisor? Sure thing. I emailed you some information on 12/18. I emailed you some information on 1/25. Please write back or give me a call. Please send me information on being a Motives Pro Artist. I emailed you some information yesterday. I am looking forward to hearing back from you. I would like to get some information about becoming a Motives Pro Artist please. I attempted to email you some information on the program but the email bounced back to me. The email address that you provided was wrong. Please message me again with the correct information. Hi, I was wondering if you can be a pro artist and distributor with the same benefits as a beauty advisor? More info please 🙂 thanks in advance! I emailed you a response last month, but just wanted to note the reply here as well. There are two ways to partner with Motives Cosmetics. If you are in the beauty industry, you may apply to become a Motives Pro Artist. Or, anyone may register their business to become a Motives Beauty Advisor. A Motives Beauty Advisor is the same thing as a Motives Distributor. 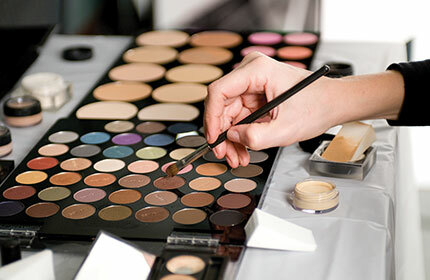 It is not possible to be a Motives Pro Artist and a Motives Beauty Advisor; you would need to choose one or the other. I hope that my response clarified things for you. Please let me know if I may answer any other questions. What’s the cost of becoming a beauty advisor? The most common way is with one of the Motives Fast Start Kits for $399+tax. Refer to my blog post: Start Up Costs for a Motives Cosmetics Business. for more details. 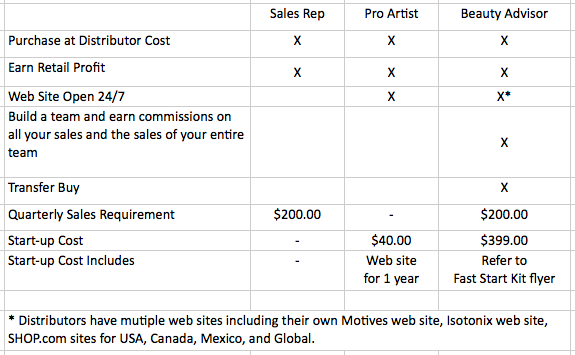 Are there any other costs associated with becoming a Motives Pro Artist? Other than the $40 annual fee? No, there are no additional costs. Just $40/year. I will email you some more information separately. When becoming a pro artist besides the $40 fee, do you have to purchase a kit or anything like that? There are no other costs or requirements to make any purchases. I have emailed you additional information. Do you receive a start up kit when you become a Pro Artist? I emailed you information on the ways that you can partner with Motives. The Pro Artist program does not include a kit. It does. however, give you the ability to purchase products and kits at distributor cost. Is there a way I could get more information an the Pro Makeup artist program? Yes. I emailed you some information on 5/8. Please reply to my email so that I can answer your additional questions. Could you please email me information pertaining to both pro motives mua & the beauty advisor. Yes, absolutely. I just sent you several email. One on the Pro Artist Program and the other on becoming a distributor (beauty advisor). Please write back to let me know that you got them and so that we can schedule a call together. I will love to see the next looks you bring out . Could I please get some more information on your pro artist program? Thank you. I emailed you information on the Pro Artist Program on 8/12. Please check your spam folder if you have not seen the messages in your inbox. I emailed you some additional information today on the Pro Artist Program as well as on the distributor opportunity. Please write back and I’ll be happy to discuss your options with you. I’m.looking into starting a business or earning extra money with Motives. Would you please send me information that will describe my options? I just sent you two email with more information. Please give me a call at the number in my email so that we can discuss your goals and how Motives might help you to achieve them. I’d like information on both as well please! I don’t quite understand the difference in profit when comparing pro MUA vs. Distributor? As a Motives Pro Artist, you are limited to earning retail profit on the Motives Cosmetics and Skin Care products that you, personally, sell. As a Motives Beauty Advisor, you may also earn commissions on your sales plus on all of the sales of your team. The retail profit is the same – the difference is the ability to earn commissions. Hi, can you send me more info? Yes. I am emailing that information to you right now. 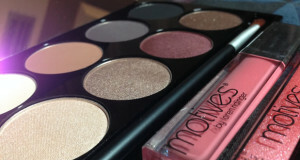 Motives Iconic Palette Now Available!